If you happen to be in Boston next weekend.... 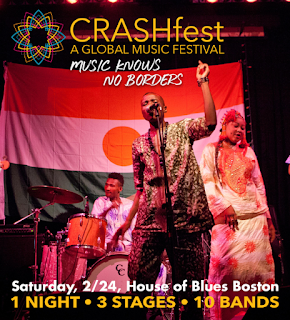 Enter to win tickets to CRASHfest in Boston at the House of Blues on Saturday 2/24. The international food/music festival features Rubblebucket, Vieux Farka Toure, Mokoomba, Flor De Toloache, Tal National, Innov Gnawa, Newpoli, Só Sol & More.